Features low profile packaging designed to easily fit in a cargo pocket or in a small pouch on the lower back with the addition of an external pill pouch. 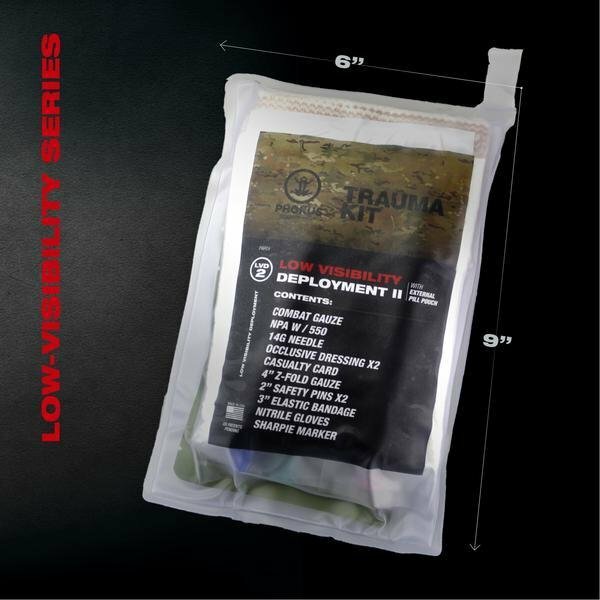 The LVD2 can be carried in addition to the DTK/DTK2, allowing the Operator enough gear for Self-Aid and to provide Buddy-Aid. The contents are packed for priority of care and are sealed within heavy-duty medical grade vinyl that provides weatherproof protection of critical medical supplies. Radio Frequency (RF) welded seams provide superior loss protection of valuable equipment.